Art University in Poznan, Poland ( painting and tapestry)in 1989. 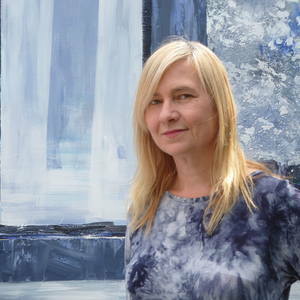 In 2011 she was awarded with doctor degree in painting art by the Art University of Poznan. 2010 - Creation of the space Think Art – the space for art and thoughts in city Poznań. This space is promoting and utilizing art of painting in daily life of people. “Venice - Poznań – a promising connection”.